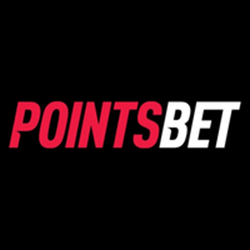 Australian-based online operator Pointsbet has recently announced the hiring of Seth Young as their new chief innovation officer as the operator attempts to bolster their expansion plans within the US market. The hiring was completed as the company prepares to launch within the country toward the end of the month. 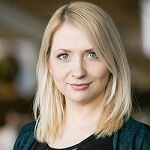 Young is a former executive director of online gaming in Foxwoods Resort Casino in Connecticut, one of the United State’s most popular casino resorts. Young served as vice-president and chief operating officer of Flower City Gaming from 2013 to 2016, where he oversaw their Star Fantasy Leagues brand. Young was also strategy director for TexasHoldem.com from 2005 to 2009. Pointsbet, in a public statement, said that Young will spearhead their new market and brand identity across the newly-opened US market as they attempt to gain a foothold within the country. The operator added that New Jersey will be their starting point. The company has already opened officers within New Jersey ahead of the launching of their mobile sports betting and online platforms by the end of November after signing a partnership with Meadowlands Racetrack. Earlier in November, NFL American footballer Darrelle Revis was recruited as an ambassador for Pointsbet’s sportsbook, and the operator also recently entered into a new, multi-year deal with EML Payments. EML Payments will provide reloadable, branded card programmes within the state of New Jersey. Pointsbet is also ready to start working with the Tioga Downs casino in New York, pending legislative authorisation.